Today, we are proud to announce that Cision has agreed to acquire PR Newswire, the premier global provider of multimedia platforms. By combining resources, Cision and PR Newswire will deliver a comprehensive suite of communications, social media, insights and analytics offerings, plus services to support clients today and into the future. Consumers will have access to global technology and service, deep relationships with media and influencers, and comprehensive research on trends and best practices. Once the transaction is finalized, Cision will begin planning with PR Newswire to ensure a seamless integration and to evaluate ‐‐ in partnership with both teams and client bases ‐‐ the best way forward. While the exact product roadmap and timeline will be developed in the coming months, Cision and PR Newswire customers should not experience disruption or anticipate any immediate operational changes. This move is the latest example of Cision’s steadfast commitment to investing in this space to deliver innovative products and services to communications, social and content marketing professionals. Cision shares PR Newswire’s vision for empowering communications professionals’ complete workflow by providing the leading content marketing, PR and social tools, and we look forward to sharing more of this vision in the near future. Interested in learning more? You can see the full press release, check out our FAQs or contact an account executive. Peter Granat oversees our executive management team across operations globally. For over 20 years, Peter has been instrumental in the development of innovative products and services to enable effective communication between the PR, marketing and media communities. He has worked closely with clients to deliver solutions that address a wide range of agency and corporate communications needs. 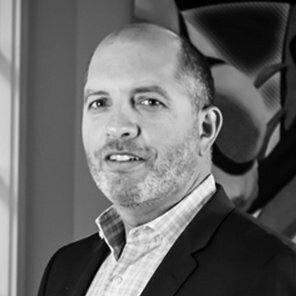 Prior to his current role as Cision’s CEO, Peter served as CEO of Vocus and was Group CEO of Cision AB. Before that, he was senior vice president of sales and business development at MediaMap. Peter holds a Bachelor of Arts from the University of Vermont and an MBA from Northwestern University’s Kellogg School of Management.